Mary Jordan and Paxton Abbey at USEF Para-Dressage Selection Trials for 2010 Alltech FEI World Equestrian Games © 2010 Lindsay McCall/PMG. Thousand Oaks, CA – July 21, 2010 – On June 27, 2010 the USEF Para-Equestrian Dressage National Championship and the USEF Para-Dressage Selection Trials for the 2010 Alltech FEI World Equestrian Games concluded. Riders then headed home as they waited in anticipation to hear who would be selected for the 2010 Alltech FEI World Equestrian Games. 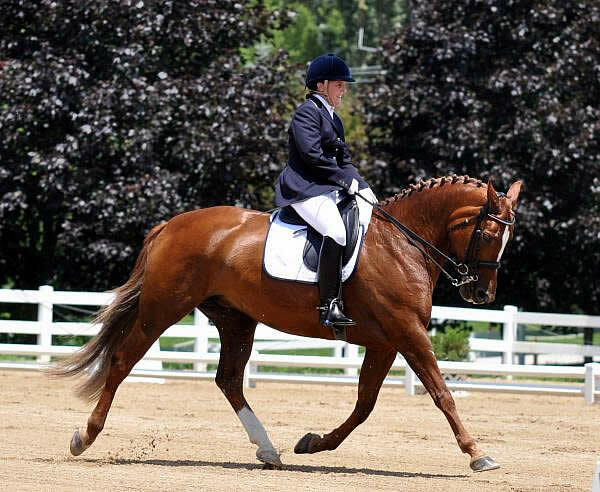 The Para-Dressage team will be lead by Chef d’Equipe Missy Ransehousen whose international experience on and off a horse will be an outstanding resource for the Para-Dressage riders. Selectors of the 2010 Alltech FEI World Equestrian Games Para-Dressage Team are Laura Sheer, Lynn Seidemann, David Schmutz and Sandy Raferty.